Let me tell you, having a sick baby is one of the worst feelings for a new mom. You know they're sick and you know they're hurting, but they can't tell you what is wrong. At first we attributed it to teething. I can’t imagine the pain the little ones go through when a tooth starts to break the skin. Or, was it just a cold? After all, there was a lot of snot pouring from her nose (thanks daycare friends). But then, the fever came and we instantly knew it was something more. It's not uncommon for babies to get sick a lot - especially ones in daycare. That’s one thing we were warned about before and one thing we learned for ourselves after she started. 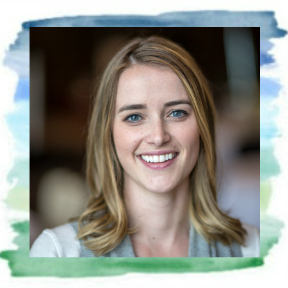 While a Friday night trip to the emergency room was required, the antibiotics prescribed by the doctor were not enough to help her get back to her usual crazy form. Since she wasn’t eating like the Morley we know, keeping her hydrated with both milk and water was a priority to help eliminate the nasty bug that had taken over her body and return her to her normal happy, healthy self. This year, I have vowed to go single-use plastic bottle free. As someone who works in the environmental education and conservation industry and strives to live a sustainable lifestyle, you would think cutting out single-use plastics would be a given. However, it is easier said than done (especially when your plans include traveling to a country with non-potable water). But, we are doing the best that we can and I’d say so far, we have done a pretty good job. One way that we are achieving this goal is by using reusable water bottles. My husband and I have always been Nalgene people, taking the iconic 32-ounce wide mouth bottles on our many camping, fishing and hiking adventures. This large bottle makes it easy to keep track of how much water we’re drinking per day and holds up against the bangs, bumps and drops of our busy lifestyles. 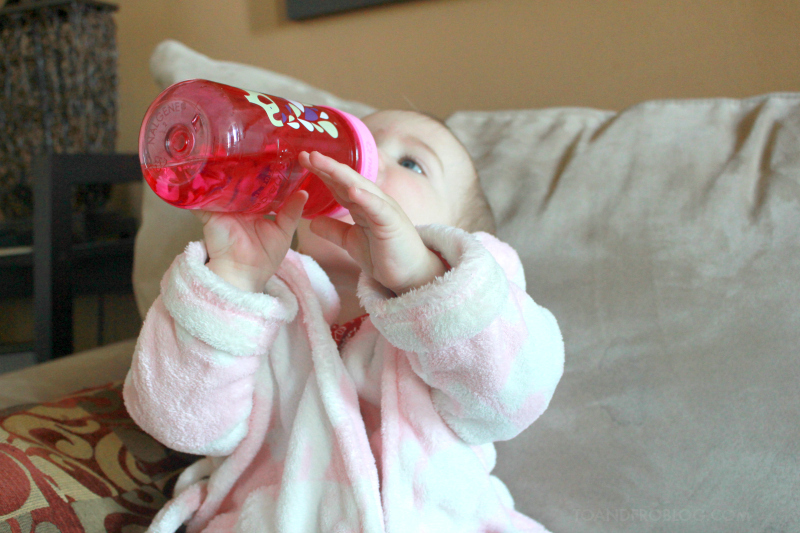 Now, we can also say that we are a Nalgene family, having recently introduced Morley to her new “big girl bottle”, the 12-ounce Grip-N-Gulp. 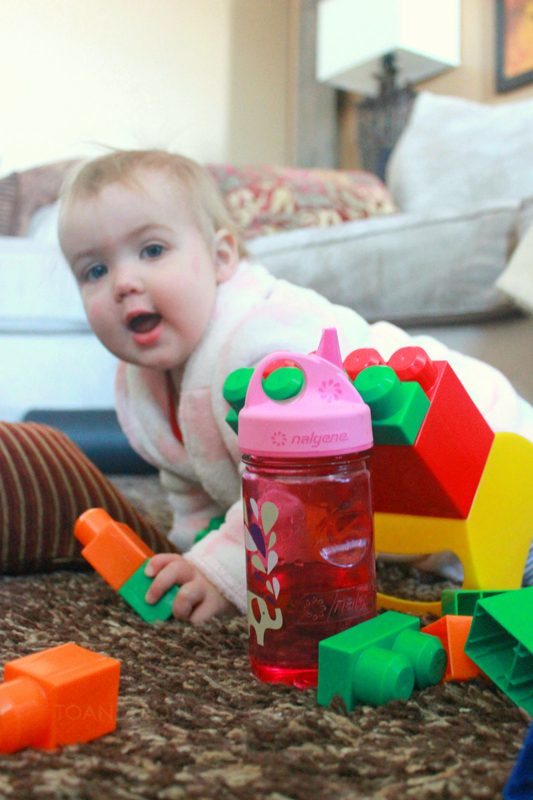 This bottle passes all kid tests and is spill-proof, break-proof and easy to clean. 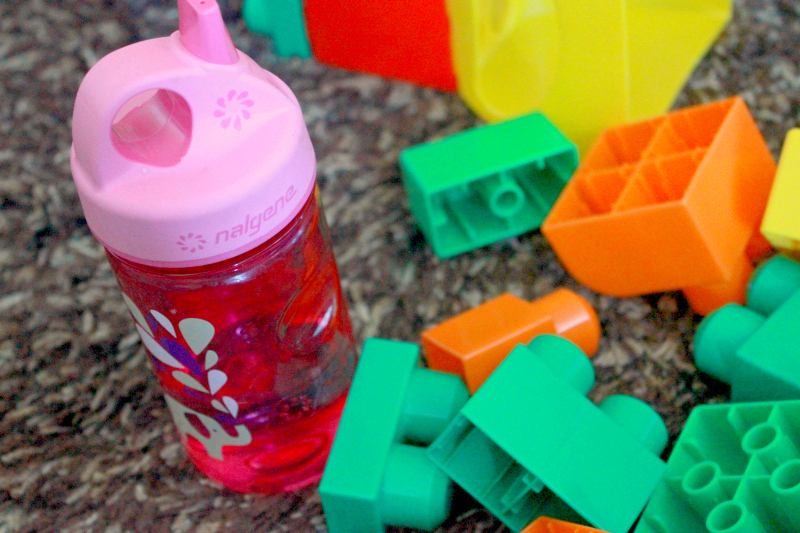 It is also perfect for Miss Independent because it does not have a straw, making the switch from a standard sippy cup much easier. 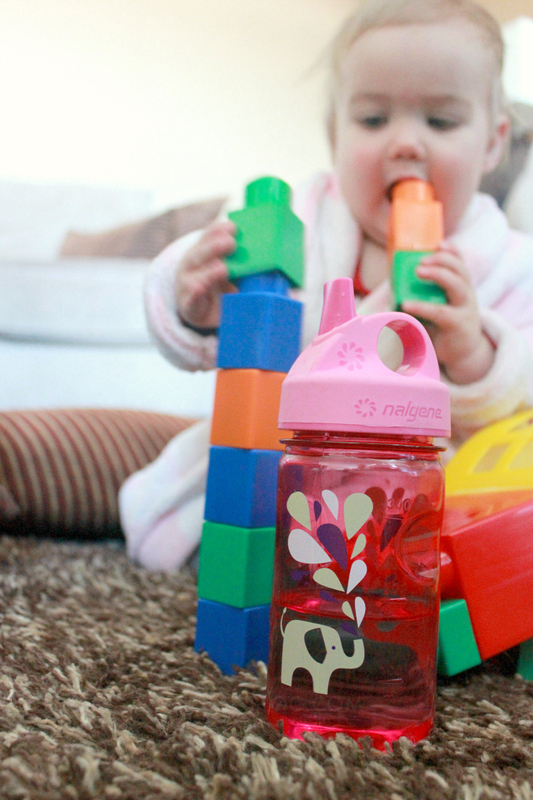 All Nalgene bottles come in a variety of colours and are BPA-, BPS- and Phthalate-free to keep your family happy, healthy and hydrated. Oh the joys of daycare, and cold and flu season. 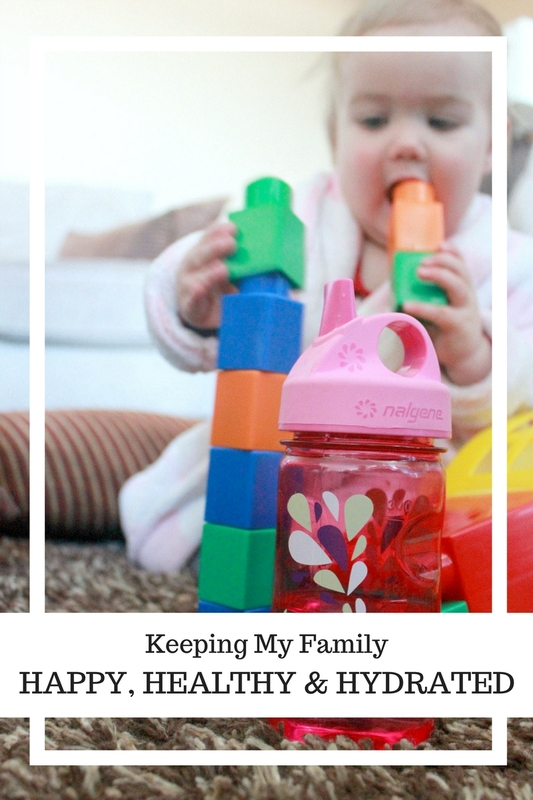 Have you ever used a Nalgene bottle? What are your tips and tricks for helping your sick babe? I’d love to hear! Disclaimer: I was provided with complimentary product in exchange for this post. All opinions are 100% my own. Thank you Nalgene!